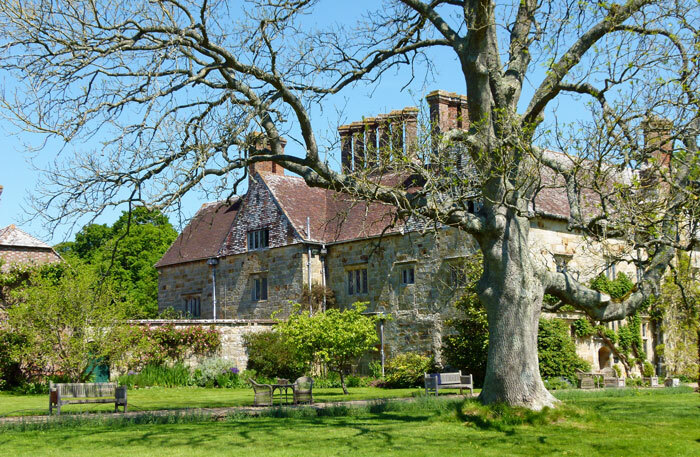 We travelled to Bateman’s, Rudyard Kipling’s Sussex home for 34 years, through the impossibly pretty village of Burwash, all whitewash and weatherboard. You reach the house down what Kipling described as “an enlarged rabbit-hole of a lane” to arrive in what is now a car park. I wondered how it had all looked when the Kiplings first saw, and fell in love with, the place. Joseph Rudyard Kipling is a controversial literary figure. Described by George Orwell as a “prophet of British imperialism”, Kipling was probably all that Orwell implied, including a racist; he was also a satirist, a master story-teller and, in my humble opinion, a fascinating egotist. Born in Bombay (now Mumbai) on 30th December 1865, though educated in England, Kipling was in many ways a product of the British Raj and, inevitably, a man of his time; why should he be otherwise? Judge Kipling with narrow political correctness and you are not only missing the point but also bound to come away disappointed. The man brought us so many familiar characters – Mowgli, the man-cub, Akela, the great lone grey wolf (and scout leader), Baghera the black panther, Baloo the bear and Rikki-Tikki-Tavi, the brave mongoose – the tales of the ‘Jungle Book’ (written for his daughter, Josephine), ‘Just So Stories’, ‘Kim’ and ‘The Man Who would Be King’. Where would Walt Disney and Michael Caine be without Kipling? Then there was his poetry – ‘Gunga Din’, ‘White Man’s Burden’ and ‘If’, written for his son, John. ‘If’ was runaway winner of The Bookworm’s quest to discover the nation’s favourite poem in 1995, beating anything by Shakespeare, Wordsworth, or anyone else, hands-down. I found, on my bookshelves, an 1897 edition of ‘Barrack Room Ballads’ that had belonged to my grandfather and a 1942 compilation, ‘Humorous Tales’ and dipped into them both. I confess to finding a portion of the work almost totally incomprehensible and Kipling’s habit of writing in an excruciatingly awful mock cockney accent when reporting some speech – notably of private soldiers and NCOs – a little irritating: “I went into a public ‘ouse to get a pint ‘o beer, The publican ‘e up an’ sez, ‘We serve no red-coats here.’ ” I wonder what he’d make of ‘East Enders’? But the imagination is astonishing, the phrases are page-turners and a rather innocent humour rubs shoulders with a desire to explain why things are the way they are. If there’s romance in Kipling’s work, maybe he inherited it. He was named for Rudyard Lake in Staffordshire, where his parents courted; presumably, a friend of mine had a similar idea when he called his son ‘Ford’. Kipling himself married Caroline (Carrie) Balestier, sister of a close American friend, in London in 1892 and the couple settled for awhile in Vermont. First, they rented a simple home called – I like to think appropriately – Bliss Cottage. They then built their own house, Naulakha, where ‘Jungle Book’ was written. The house is still there, and you can stay in it if you’ve a mind to – it sleeps 8 and you can take a look at it via the Landmark Trust’s website. In 1896, circumstances brought the Kiplings, with two young daughters, to England – which they can hardly have known – first to Torquay and the following year to Rottingdean, near Brighton. Here, they rented “The Elms” (on the market for £1.45 million in May 2014), where their son was born and they were happy for awhile. But tragedy struck in 1899 when their elder daughter Josephine died, aged six, from pneumonia. They needed to escape memories and, apparently, trippers gawping at the house – Kipling was a celebrity, probably the most famous author in Britain at the time. 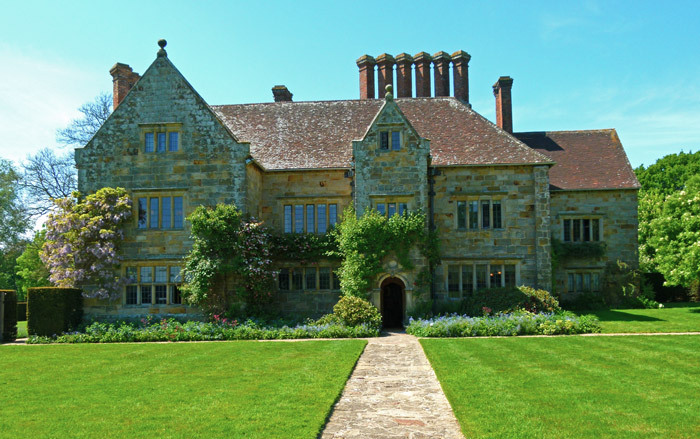 So it was necessary that Bateman’s should contain no regrets or stifled miseries; it would become a sanctuary, “The very-own house” and “A good and peaceable place”, situated in a tiny corner of the Sussex Weald, the Dudwell valley, and close to a rich English heritage that often inspired Kipling’s tales. 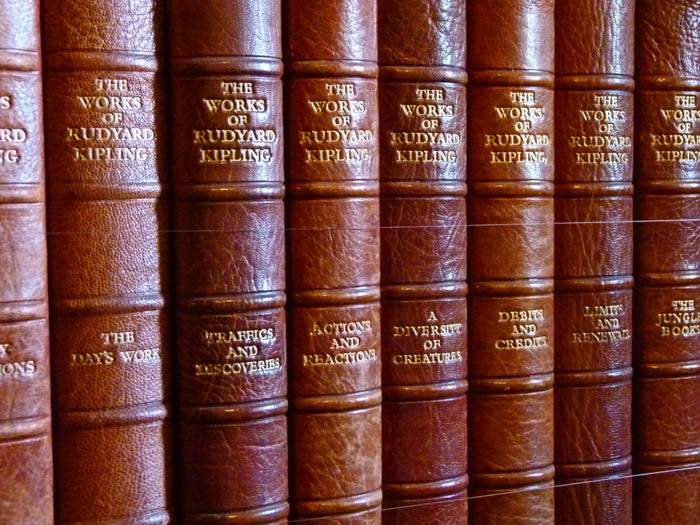 Rudyard and Carrie bought Bateman’s for £9,300 in 1902. It had no bathroom, electricity or upstairs running water. But Kipling was earning around £5,000 a year, a huge amount in those days, and could afford to dabble. Within the 33 acre estate was an old mill; Kipling had the 18th century mechanism decommissioned and a modern water turbine and generator installed to bring electric light into the house. He enlisted the help of Sir William Willcocks, who had installed the first Aswan Dam (“a trifling affair on the Nile”), on the project. And that’s another thing about Kipling: he was extraordinarily well-connected. Stanley Baldwin, politician and three times Prime Minister, was a cousin and particular friend. Other chums included Henry James, H Rider Haggard, Arthur Conan Doyle, Cecil Rhodes, Max Aitken and King George V. By all accounts, he loved visitors and you get a sense of this from wandering round the house. 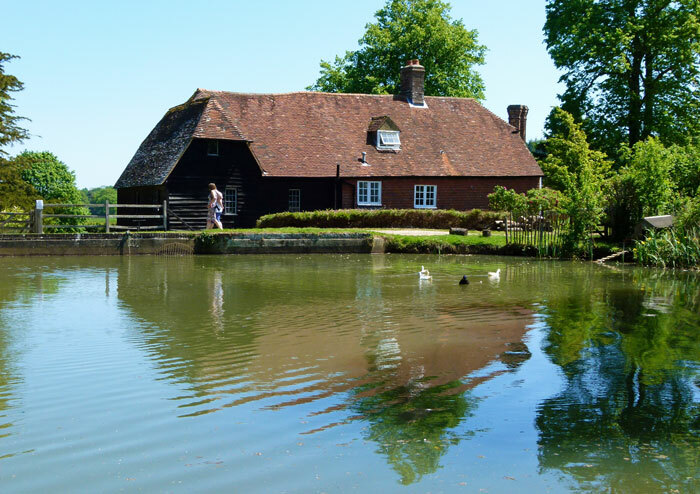 It was built in 1634 for a local ‘ironmaster’ (iron producer); iron had been worked in this part of Sussex since before the Romans came. Yet despite its antiquity, Bateman’s is stuck firmly in a time somewhere between late Victorian and the 1920s. Which is exactly right – and what you want. It was bequeathed to the National Trust on Carrie’s death in 1939, and a first-class job has been done preserving the place so that it speaks of the man and his family. Outside, garaged and unfortunately behind glass, is Kipling’s 1928 Rolls Royce. He loved motoring, though he never learned to drive himself. The grounds, which in Kipling’s lifetime were gradually expanded, include a delightfully aromatic herb border. We watched iridescent-blue dragonflies skim around the pond, paid for out of the Nobel Prize Kipling won in 1907. “I was just going to inspect my navy”, was Kipling’s opening to a youthful American visitor, meeting Kipling for the first time; he led his guest to the pond, where there was a 6-foot hand-cranked paddle-boat. Beyond the pond, an informal wild garden provides a riot of colour and the river Dudwell – a tiny apology for a river, really – flows gently through the estate. Inside, the house is full of treasures – genuine valuables, family paraphernalia and, like a memory of elderly relatives’ houses, fragments of old empire. 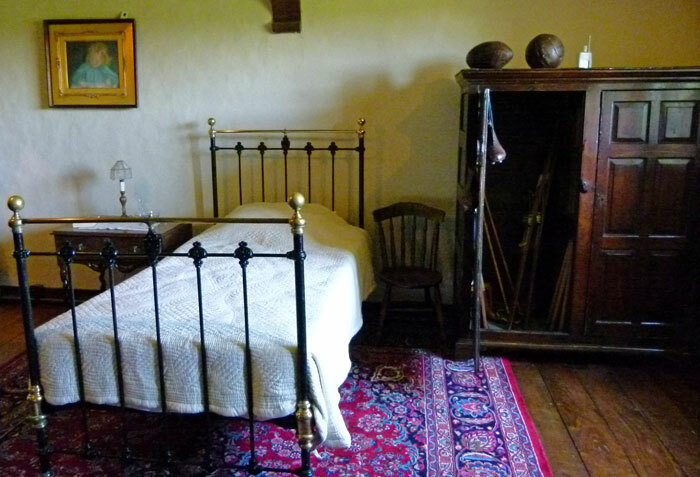 One room is furnished for their son, John. Kipling was immensely influential and, after the First World War began in 1914, was delighted to write propaganda for the government in support of Britain’s war aims – one of 25 well-known authors to be invited to do so. Kipling viewed the war as a crusade against German aggression. He also used his influence, and friendship with Field Marshall Earl Roberts, to get John a commission in the Irish Guards. John, like his father hopelessly short-sighted, had already been turned down by the navy and other branches of the army. He was just 18 when he went missing at the Battle of Loos in September 1915. His parents searched for years but never found their son. He was last seen blundering myopically toward enemy lines, screaming and with his face torn. This particular episode in Kipling’s life was captured in the play, and subsequent film, “My Boy Jack” by David Haig. The film starred Haig as Kipling, Kim Cattrall as Carrie and Daniel Radcliffe as John. Lieutenant Kipling’s body was tentatively identified in 1992, but the remains may be someone else’s. After the war, Kipling developed a close association with the Imperial (now Commonwealth) War Graves Commission and suggested “Their Name Liveth for Evermore”, from the book of Ecclesiastes, which is inscribed on the Stones of Remembrance in larger war cemeteries, and the phrase “Known Unto God”, which is inscribed on the graves of soldiers who could not be identified. He was vehemently anti-Communist and, as fascism grew in the 1920s and 30s, vehemently anti-fascist too. He continued writing at Bateman’s and died of a duodenal ulcer aged 70 on his wedding anniversary, 18th January, 1936. His ashes are interred in Poets Corner, Westminster Abbey. 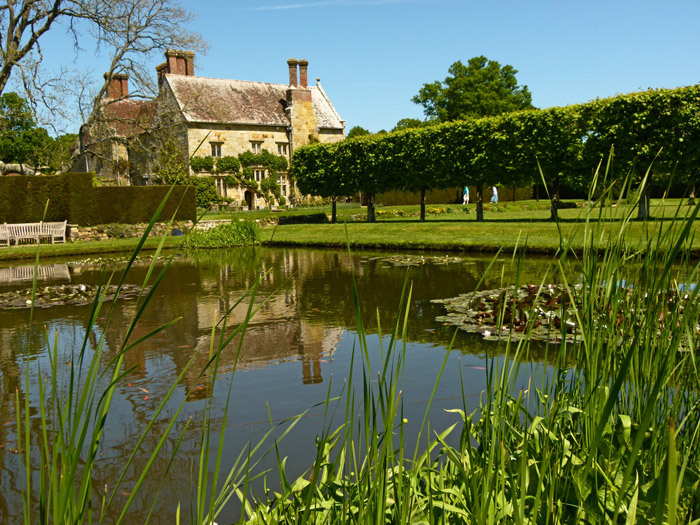 Bateman’s is a worthwhile visit, whether you want to sense something of the man who most recently lived there, or just enjoy wandering round pleasant houses and gardens. There is humour, and sadness, there. The staff were friendly and helpful when we last went, and there is the ubiquitous National Trust shop and café – where you’d like to think they sold exceedingly good cakes. There’s an interesting postscript: – The Kiplings’ surviving daughter, Elsie, had married Captain George Bembridge in 1924. They purchased Wimpole Hall, the largest house in Cambridgeshire, in 1938 and allegedly used the inheritance from Elsie’s father to restore the property. George died in 1943. They had no children. Elsie collected and catalogued many of her parents’ papers and, on her death in 1976, left both the property and the archive to the National Trust. 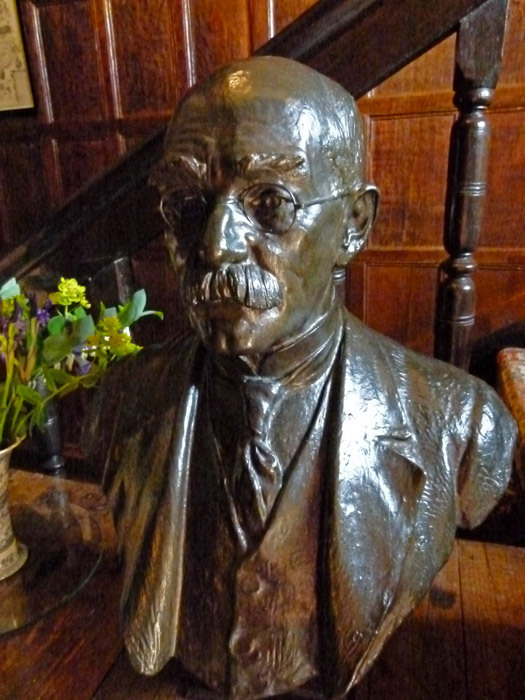 For more about Rudyard Kipling, you might find the Kipling Society’s website useful. ps. 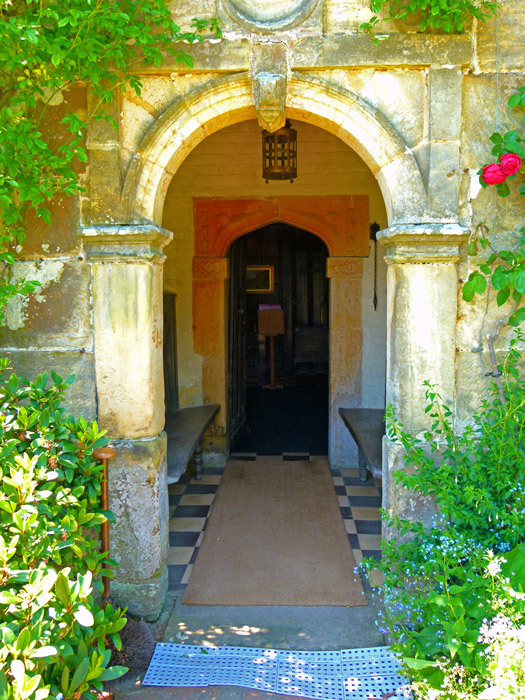 I don’t know why that doorway image looks so much like a painting…only the matting convinced me it is a photograph. I normally think of authors having fairly unstable incomes and that even stable literary incomes were not likely to be huge. Yet the Kiplings seemed to be both stable and well endowed. I have seen the lovely house and gorgeous gardens, but I didn’t realise that the Kiplings were so well connected. The surviving daughter was very smart, leaving the estates to the National Trust. Thank you, Elsie. I suppose relatively successful authors have stable incomes, but the connections were amazing. I kept thinking the house looked familiar — exterior scenes of My Boy Jack were filmed on site. One of my favorite moments in London was buying a wrap at a food stall, and then reading a plaque next to it telling me that I stood in front of a house that Rudyard Kipling once lived in. History, everywhere! Now, I’ll have to add Bateman’s to the list for the next visit. What a pleasant place. Loads of other places not far from there that you’d probably like too. 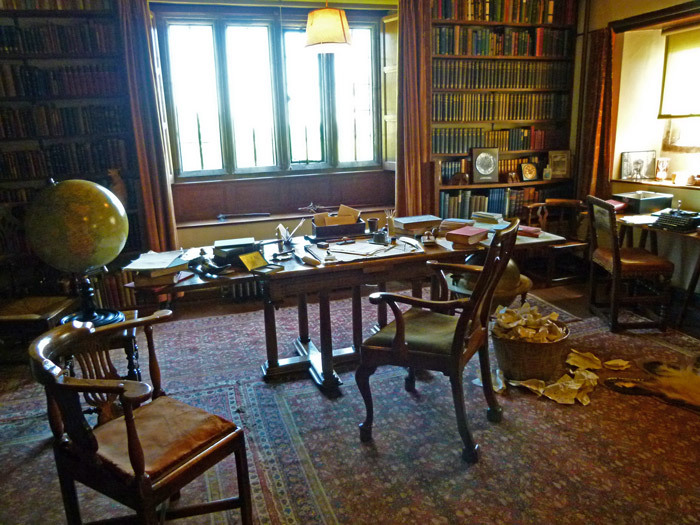 Sissinghurst Castle, Vita Sackville-West’s home; Chartwell, Churchill’s home…let me know if you want any inspiration! It’s a wonderful, peaceful, place; and, love him or loath him, he was an astonishing man.